The spectacular rocky outcrop of Ponta da Cruz is the location of the LTI Pestana Grand Ocean Resort Hotel, offering breathtaking sea views from the bay of Funchal to the high sea cliffs of Cabo Giro. 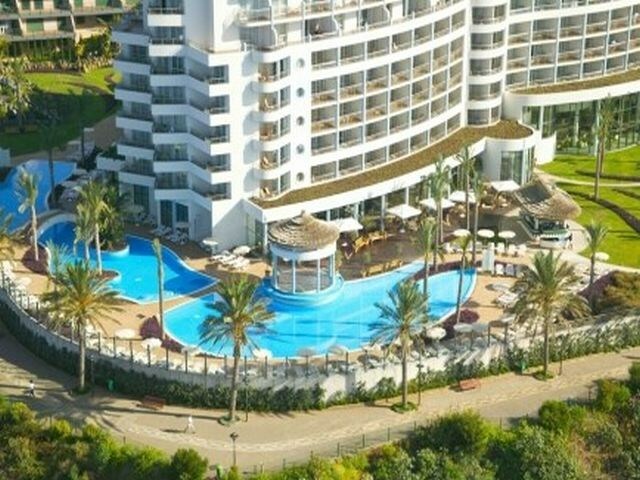 This unique 5 Star property is one of the last remaining oceanfront sites on the Funchal coastline and features the largest hotel heated salt water pool on the island, an impressive activity pool in the health spa, as well as an extensive range of restaurants, bars and facilities. The hotel is just a short walk from the new Madeira Forum Shopping Centre which has a large selection of restaurants, shops and cinemas. Other activities in the area include squash, pedal boats, jet skiing, parasailing, wind surfing, and golf at the 18-hole Palheiro Golf Club and the 27-hole Santo da Serra Club. Funchal Airport is 20 km from the hotel.